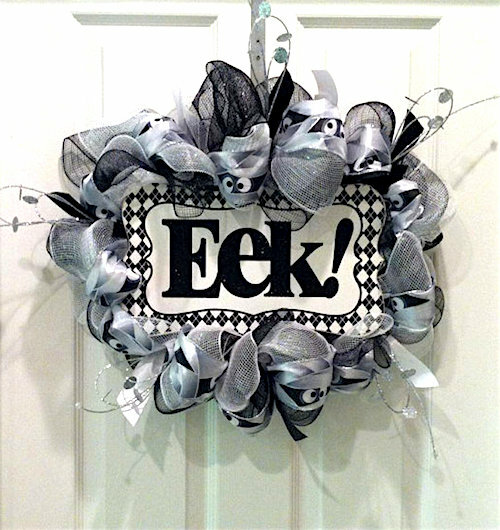 A Halloween Mesh Ribbon Wreath is perfect for welcoming trick or treaters! 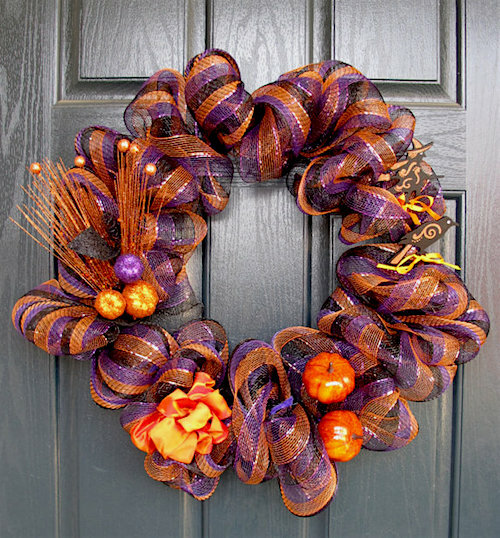 Wreaths are an inseparable part of decorating during the Halloween season. Combined with the Halloween decorating, you’ll get to see many beautiful Halloween wreaths, colors and textures this season. 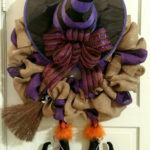 Today, look at this Halloween mesh ribbon wreath tutorial to bring a festive touch to your Halloween home. 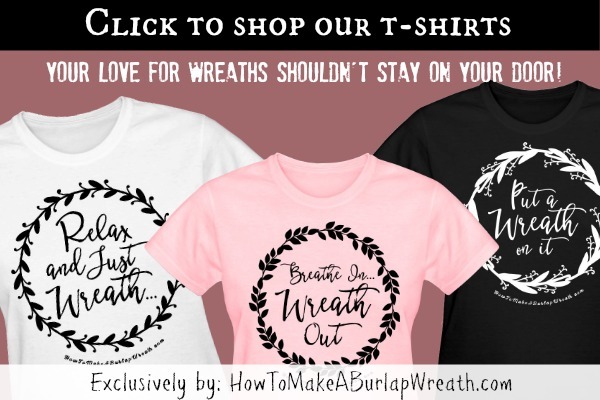 You can find many versions of beautiful mesh ribbon wreaths at your local shops. But, most of them are expensive and many of us cannot gather courage to buy one. Well, don’t bother! 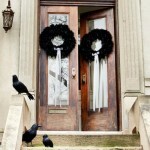 You can make your own version of mesh ribbon wreath and that is so with a Halloween punch! Follow our tutorial. 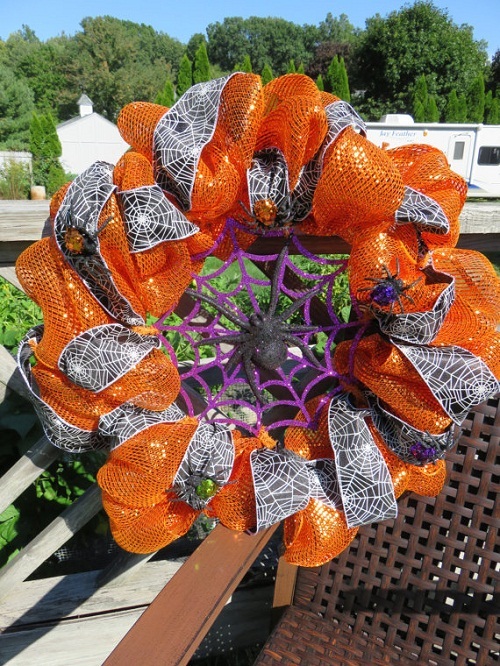 You’ll be able to make your own Halloween mesh ribbon wreath at fraction of cost! Add your favorite add-ins like pumpkins, skeletons, birds and more! Place the work wreath form on a flat surface. 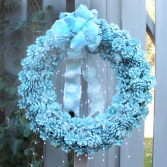 Take one bundle of deco mesh and gather the end on the inside ring of the wreath form. Twist two pieces of pipe cleaners around the end to secure it. If you want to use two deco mesh rolls of different colors, use both at the same time. Keep unrolling the deco mesh, move down a few inches, and bunch it together to make it fluffy. Now, secure with a pipe cleaner twist. Repeat this process until the entire inner circle is covered. Now, cover the outer circle with deco mesh by repeating the same pattern. 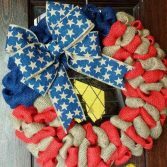 To give the wreath a clean look, twist the pipe cleaners, which are sticking out everywhere, onto the wire base. 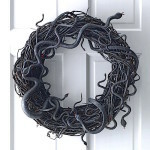 To make the wreath look more like Halloween-worthy, it is time to adorn it with the add-ons. You just simply need to glue them to the wreath. You don’t need to use all the add-ons mentioned in this post. Using just a couple of them will be enough. 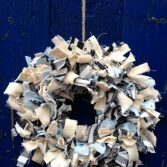 Making such a wreath is very simple indeed! 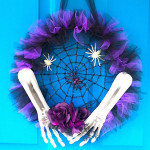 You can get all the stuff needed to make this Halloween Mesh Ribbon Wreath from local or online shops. If you can get everything on sale, you’ll simply hit the jackpot! 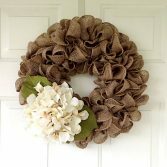 It will be a good option to buy them in bulk if making wreathes is your passion.